Mark Ferber (b. 1975) grew up in Moraga, CA, and began playing piano at the age of four, before moving on to drumming and percussion. Mark attended the University of California in Los Angeles, earning a B.A. in Geography. He has distinguished himself on both coasts and abroad in live performances and recordings. In Los Angeles, a partial list of credits includes Anthony Wilson's Organ Trio and Nonet, Billy Child's Chamber Ensemble, Wadada Leo Smith, and Bob Sheppard. In New York he has worked with Lee Konitz, Don Byron, Fred Hersch, Norah Jones, Steve Swallow, Jack Wilkins, and his twin brother, Alan Ferber, among others. He is currently touring and recording with Ralph Alessi's group, 'This Against That', and Jonathan Kreisberg's Trio and Quintet. 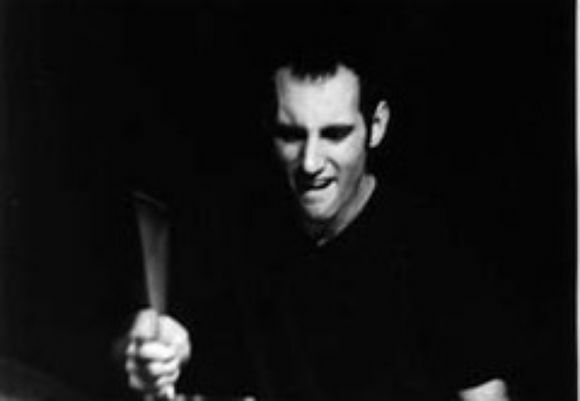 In addition to being an active freelance drummer, Mark teaches in the United States and Europe. He was a faculty member for the Tavira Jazz Workshop in Portugal, the Kansas University Jazz Workshop and the Maine Jazz Camp. He currently serves as an adjunct teacher for the City College of New York and the School of Improvisational Music (SIM) in New York.